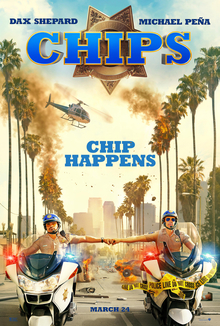 CHiPs is a 2017 American action comedy buddy cop film written and directed by Dax Shepard, based on the 1977–1983 television series of the same name created by Rick Rosner. 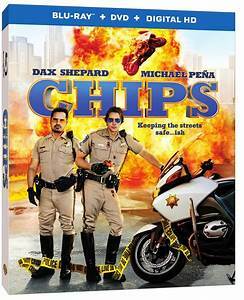 The film stars Shepard as Officer Jon Baker and Michael Peña as Frank "Ponch" Poncherello, with Rosa Salazar, Adam Brodyand Vincent D'Onofrio in supporting roles. Principal photography began on October 21, 2015, in Los Angeles. The film was released on March 24, 2017, by Warner Bros. Pictures and grossed $26 million worldwide.